China's equivalent to the FCC is TENAA, where all handsets in the country are certified before they are unveiled and launched. TENAA certification usually ends up revealing the specs for the device, along with a series of photographs showing the handset from four angles. Today, we are happy to tell you that a pair of new Nubia handsets have been certified by TENAA, the Nubia Z11 and Nubia Z11 Max Nubia is a ZTE subsidiary, and the Z11 will carry a 5.5-inch screen carrying a 1080 x 1920 FHD resolution. Under the hood is a Snapdragon 617 chipset with an octa-core 1.5GHz CPU and the Adreno 405 GPU inside. Considering that the previous phone in the series, the Nubia Z9, was driven by the Snapdragon 810, you'd expect to see the Snapdragon 820 employed here; that is not the case. One theory is that this is being done to make the ZTE Axon 2, which is powered by the Snapdragon 820 SoC, standout even more when it becomes available. 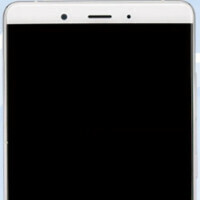 Returning to the Nubia Z11, a rear facing 16MP shooter is on board along with the 8MP front-facing camera. The latter handles selfies and video chats. A non-removable 2800mAh battery keeps the lights on, and Android 5.1.1 is pre-installed with Nubia UI running on top. The Z11 is 7.75mm thin and weighs 162 grams. The Nubia Z11 Max offers a larger 6-inch display, with the same 1080 x 1920 resolution. A Snapdragon 652 SoC drives the handset, carrying an octa-core 1.8GHz CPU. 4GB of RAM is inside, along with 64GB of native storage. A larger 4000mAh battery is included and Android 5.1.1 is once again pre-installed along with the Nubia UI. The Nubia Z11 Max is slightly thinner than its sibling at 7.4mm, and weighs less at 138 grams. A fingerprint scanner can be found on the back of both phones, and the Nubia Z11 Max has a smaller top and bottom bezel. Both units are practically free of side-bezels. Back in December, ZTE SVP Ni Fai said that the Z11 will be unveiled simultaneously in the U.S. and China, which means that we should see clearance from the FCC in the not too distant future. According to TENAA, Nubia Z11 have super narrow side bezels like just Nubia Z9. Its 72.3mm width is narrowest among the 5.5 inchers. Nubia Z11 and the max version will both have bezel-less screens. If the price is right I will buy the Nubia Z11 max this year. Decent specs, great bezel-less screen on 6 inch. Probably around 250-257 dollars. But Nubia don't screw it up with the color black. Give us a metallic black/grey version of this. If the Max version gets brought stateside, I'd be interested.